POST A RESUME HR Consultancy – HR Consultant at Ahmedabad for placement in India, Africa and Gulf for all Technical & Non-Technical Jobs. Clap your hands! Clap your hands! It’s a very common poem used among pre-school kids. 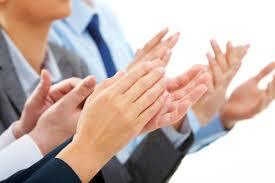 Do you know, that clapping hands can be a boon for your health. Many of you might be thinking it a joke, but it actually happens. Today we will be telling you the benefits of clapping hands.